Did you know that even with vaccination, Rheumatoid Arthritis patients are still vulnerable to Hepatitis B? Plaquenil is often used to treat mild Rheumatoid Arthritis or in combination with other drugs when treating more severe diseases. It is commonly used to manage multiple complications of Lupus and connective tissue disorders. Victoria Torr made a video diary to raise awareness for Rheumatoid Arthritis. It has taken her mom Helen a lot of courage to agree to make this video as the footage shows a side of her that few people see. Annual Charity Dinner & Fundraiser 2015. Could RA-induced Anemia causing your fatigue? Are you getting the correct Blood Test for RA? Why do people gain weight on Prednisone? 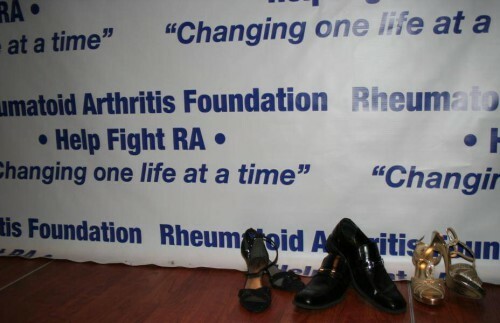 The Rheumatoid Arthritis Foundation, Help Fight RA, is a non-profit organization, that provides support to patients battling RA and their families. Should I eat Nightshade Vegetables? What Teas can you have while on Prednisone? Send me your RA newsletter. © 2019 Rheumatoid Arthritis Foundation, Help Fight RA. All rights reserved.